“After being diagnosed with Crohn’s disease I had to undergo a period of trial and error to establish what triggers my symptoms. As I have had to cut many foods out of my diet that I had previously considered to be daily staples I wasn’t really left with much to enjoy. For months I had a very plain and dull diet. Then I started researching Crohn’s and Coeliac websites for dietary help, I experimented with the few food stuffs I had left to enjoy and after a lot of trial and error I found ways of increasing my choice of foods. I could now eat cakes, bread, pastry and even Yorkshire puddings. Wow. What I didn’t expect was the reaction from friends and family who also sampled these items and wanted more. Had I cracked the ultimate dream, to make gluten free products that the whole family can enjoy? I had been really upset on my birthday to receive my dried out, tasteless, shop bought ‘special’ cake whilst the rest of my friends enjoyed the selection of luscious ‘normal’ cakes that they had baked for themselves and that I couldn’t share. I realised then the isolation of my illness. It only got worse when we tried to go out for a meal, even my friends got to the point of thinking I was just being fussy. One waiter even jumped back in shock when I said I suffer from Crohn’s Disease, I think he thought it was contagious! I decided if I was feeling isolated and alone by my illness then others must be in the same boat, especially as many of the ‘free from’ foods really aren’t that great and the local people that do make gluten free products do it in a kitchen where they use wheat flour the rest of the time so the cross contamination risk is high. I therefore felt it was time to create a dedicated gluten free kitchen. So gluten free, dairy free cake that’s low in calorie, could this really taste good? I tasted some samples of cake at the food fair and the answer was yes! 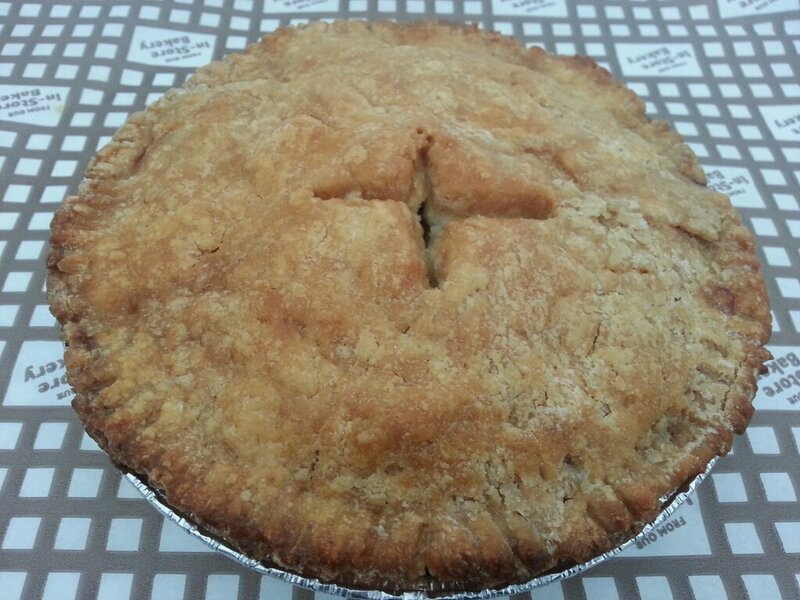 The vegetable content of the cake not only makes them low calorie, but extremely moist and flavourful. 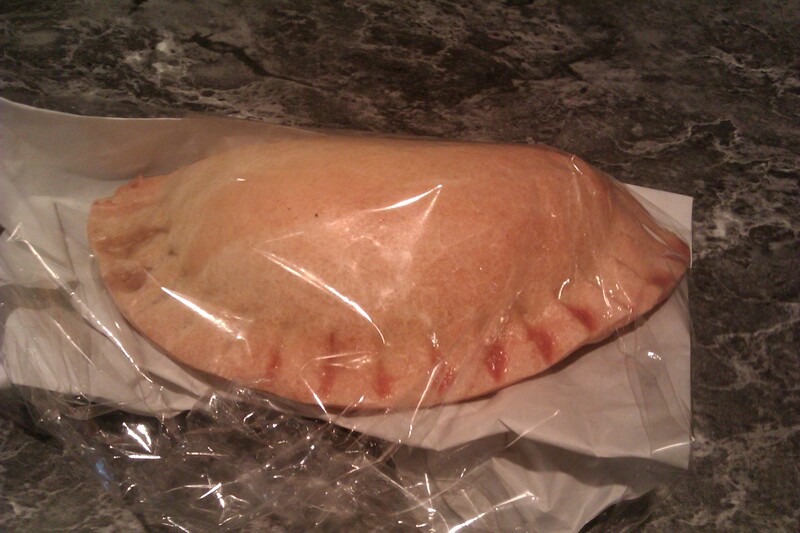 I purchased a pasty (of course! 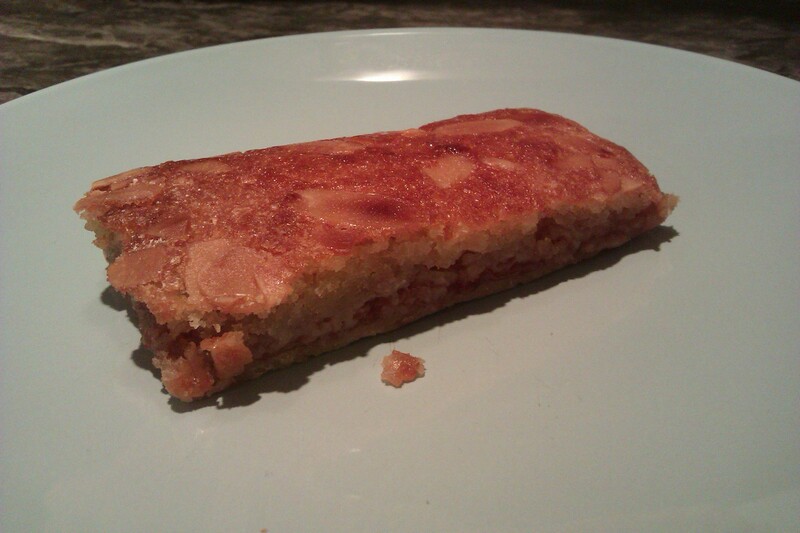 ), the previously mentioned Jaffa Slice and a Bakewell Slice to take home. The Jaffa Slice was a delicious, moist orange cake topped with chocolate, which I demolished so fast I forgot to photograph. I can see why this is so popular with Lisa’s customers. The Bakewell Slice was equally as moist and I really enjoyed this too. Of course I’m always on the hunt for a gluten free pasty and this one had a tasty filling and the pastry stood up well after the pasty was warmed up. Overall I was very impressed with the products. 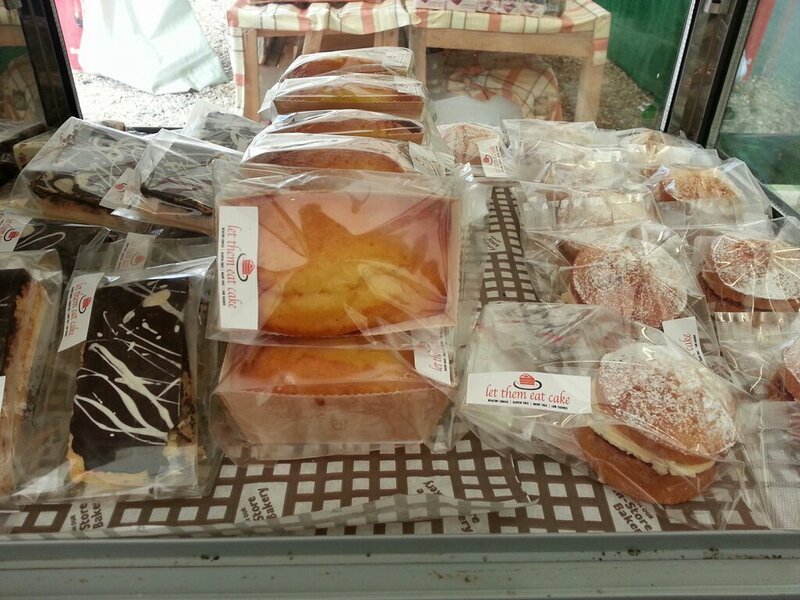 The range of cakes includes Peach, Poppy Seed and Sweet Potato Muffin, Lemon and Blueberry Muffin, Lemon Drizzle Cake, Chocolate Brownie Chocolate Torte, Apple Blondie and Fresh Raspberry and White Chocolate Blondie and many more. 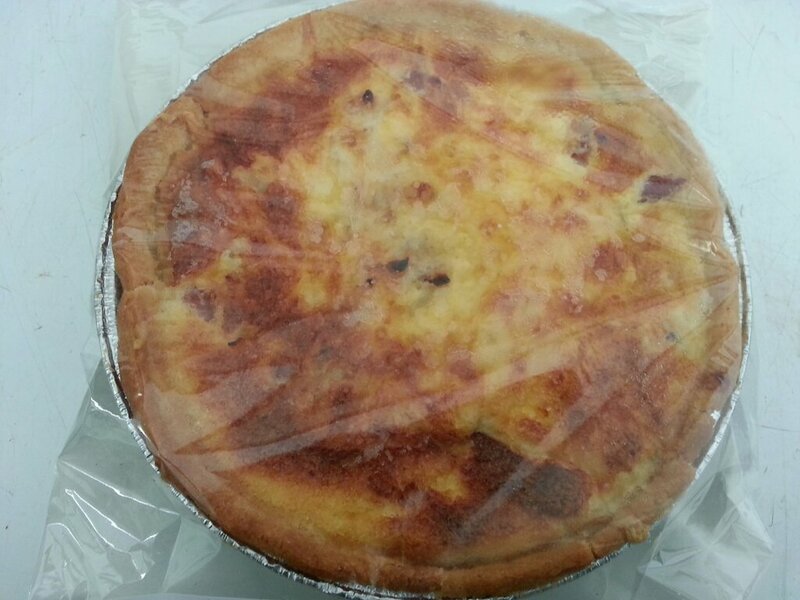 The savoury range includes Hand Raised Pork Pies, Bacon and Egg Pie, savoury muffins and a range of quiches (note the quiches are not dairy free). Crocodon Market St Mellion, every third Saturday, 9am to 3pm, next one is 19th January. This is held in a barn so we are in the dry even if it is pouring down outside (wear stout boots as it can get a little muddy in the car park) I have to date sold out at each market here so come early to avoid disappointment. Note the full range of products are not stocked at every market, so if there was something in particular you want it’s best to contact Lisa in advance and she can ensure she has it for you. You can contact Lisa on 07508360035, via email at fairies@talktalk.net or at the Let Them Eat Cake Facebook page. Lisa is on the lookout for more stockists so contact her if you are interested, and I’ll definitely be stopping by to stock up on some Jaffa Slice if she can find a stockist in Plymouth. 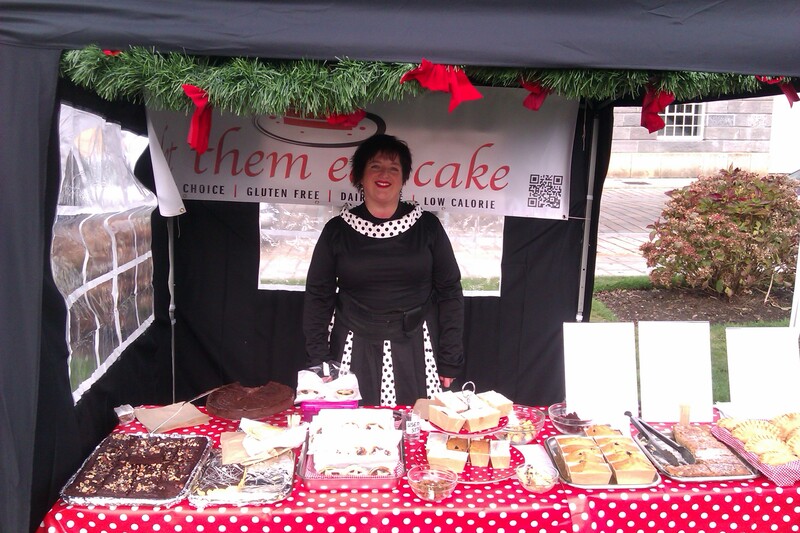 What a lovely story about Lisa and how she came to set up her business, all the cakes sound lush! Does she suffer from it now? My son suffered from Crohn’s Disease and he went into permanent remission due to starting a gluten free diet which is actually all grain, sugar (except honey) and lactose free as well. That was 7 years ago! I learned how to make cakes and breads which are grain free, quite a challenge. Well done Lisa! Your local gluten free community are so lucky! And thank you Kevin for writing about Lisa and her baked goods, it made me feel quite hungry!